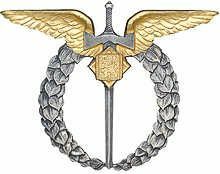 When the Nazi forces took Czechoslovakia in March 1939 many of the Czech airmen fled to fight on. Many never returned to their homeland, but now lay buried in graves all over the world. This remarkable collection of photographs, brought together by a Czech researcher, makes a fitting tribute to their sacrifice. 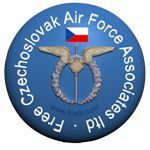 The Czechs were trained and went to many operational RAF squadrons, as well as their own national squadrons, 310, 311, 312 and 313 Squadrons. As well as the images taken by the air and ground crews themselves, stunning professional images taken by Ladislav Sitensky are included in an English language title for the first time. The photographs are mainly presented in large formats, giving modellers the chance to examine the details easily, and the high quality gloss finish paper aids the high definition reproduction. 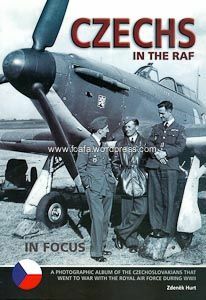 With eight pages of colour including some rare WWII colour photos and with extended captions, details of bases, losses, raids flown, code letters and claims to fame, this book is a lavishly illustrated visual reference to the Czechs who flew with the RAF. This entry was posted in 310 Sqd, 311 Sqd, 312 Sqd, 313 Sqd, 68 Sqd, Books. Bookmark the permalink.